It can be notoriously tricky buying a gift for dad. You got him a wallet for Christmas and he’s only just got a new belt. What else can you get him for Father’s Day (18th June)? Well, if your dad loves being in the kitchen more than sitting in his favourite chair then there’s a whole world of kitchen gadgets out there. From small tools to extravagant knife sets, here are seven gifts to help your dad take it up a notch in the kitchen. This small tool shouldn’t be underestimated. Its small size makes it easy to store in a drawer, but its precise and powerful heat can get much hotter than a grill. You can use it to caramelise sugar on top of crème brulees (recipe here). Or sear meat to create a crispy crust and juicy centre. You can also warm up your knife before slicing something frozen – the knife will cleanly cut through your food without creating a mess. Click here to learn How to Use a Kitchen Blowtorch. Every coffee lover dreams of making fresh coffee in their own home. This filter coffee machine from Delonghi is perfect for early morning starts – its simple one-button operation couldn’t be easier to use. The coffee jug heating plate keeps your brew at a perfect drinking temperature so you can top up your coffee mug when you want. Now you’ve got your coffee machine you need the right coffee grind. This blog on How to Make the Perfect Cup of Coffee walks you through the types of grinds you need for different brewing methods. This is an incredibly popular piece of kit in professional kitchens. 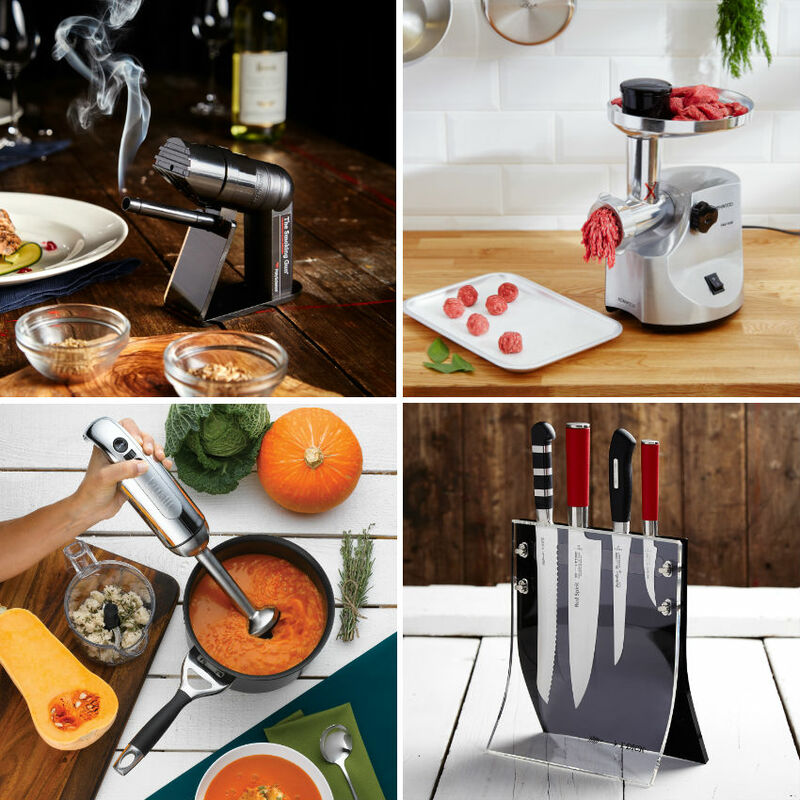 The food smoking gun lets you recreate gourmet smoked dishes without any fuss. It’s battery powered so you can use it anywhere in your kitchen – so all you need to do is fill the smoking gun’s chamber with your chosen woodchips and ignite them. It’s that simple. Click here to learn How to Use a Smoking Gun. Dualit’s Handheld Blender is supplied with a six litre chopping bowl, whisk and one litre BPA free jug for versatility. Its powerful 700W motor effortlessly chops, purees and whisks with seamless speed – meaning you’ll spend less time prepping fresh dinners and more time eating them. All accessories are dishwasher safe so there’s no awkward nooks and crannies that need hand washing. BBQ season is round the corner. 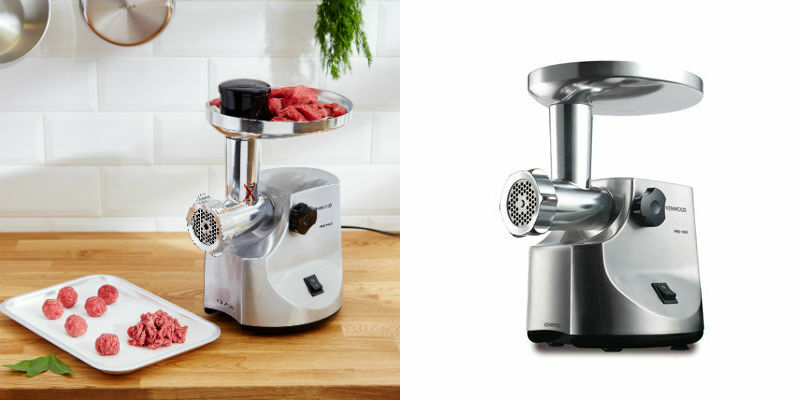 And the Kenwood Meat Mincer is the perfect gift for dads who love to take charge of the BBQ. You can grind cuts of meat as and when you need them for the freshest meatballs, burgers, sausages and kebabs. It minces 2kg of meat a minute – that’s enough mince to make over 70 small meatballs. The three separate mincing options – fine, medium and coarse give you the flexibility to choose the type of mince you want. You can also store the sausage and kebab maker attachments in the pusher to save valuable storage space. This might end up being a Father's Day, birthday and Christmas present rolled into one but the quality of this knife set is unquestionable. Using high-tech German technology, the Red Spirit series is constructed from the highest quality alloyed stainless steel for superior wear and corrosion resistance. Each knife is then laser tested to ensure they provide the slickest cut possible. Our knives can be engraved with initials to make an extra special gift. Just select the ‘personalised items’ button at the checkout. Maintaining these knives is incredibly important to their performance. Our handy infographic shows you how to sharpen your knives using a whetstone. So your dad's got the impressive knife set. But now he needs to showcase them. 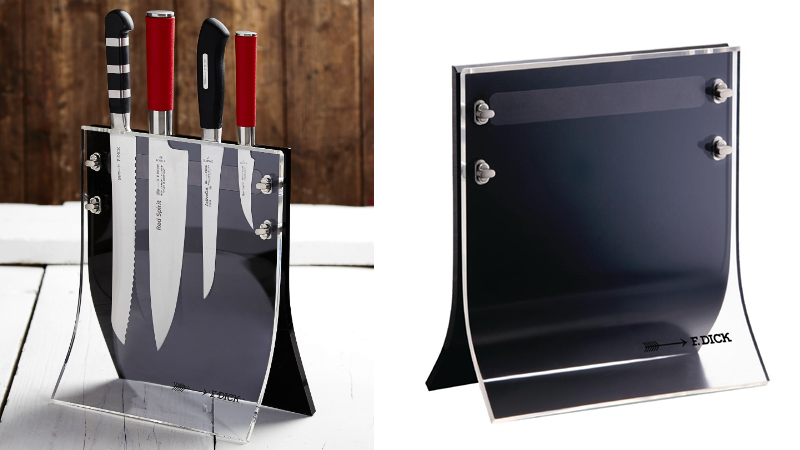 This Magnetic Knife Block does just that with a transparent front and magnetic strip to hold knives in place. The knife block’s made from two interlinking pieces which can be taken apart for easy cleaning. It features four slots for knives of various sizes so you can keep your favourite knives within arm’s reach. Please note: knives sold separately. 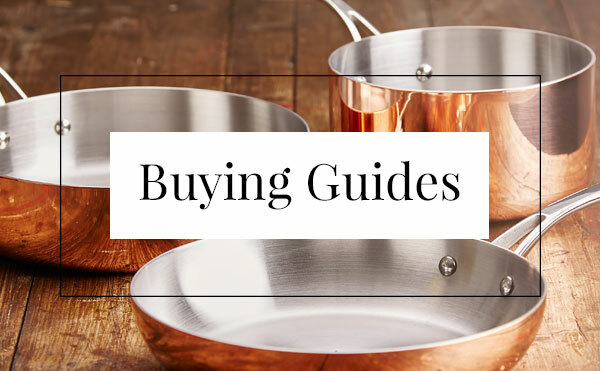 If you need a hand making a decision then take a look at our buying guides and how to page. 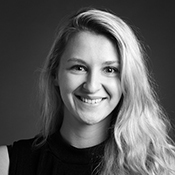 There's some really helpful articles that give you insider knowledge about the products on offer.